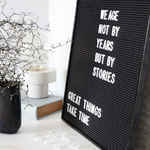 This House Doctor letter board comes with 286 letters, numbers and characters, which are easy to stick onto the grooved board. 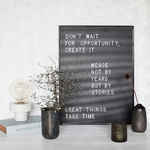 The black board is a wonderful source of information for the household. It can be personalized with a wise quote, a dinner menu, a memo for a loved one and much more. 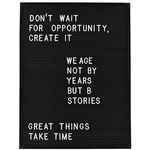 Hang it up in the office with a motivational saying or with a welcome note in the entry. The letters can easily be switched out, when it’s time to change the information. 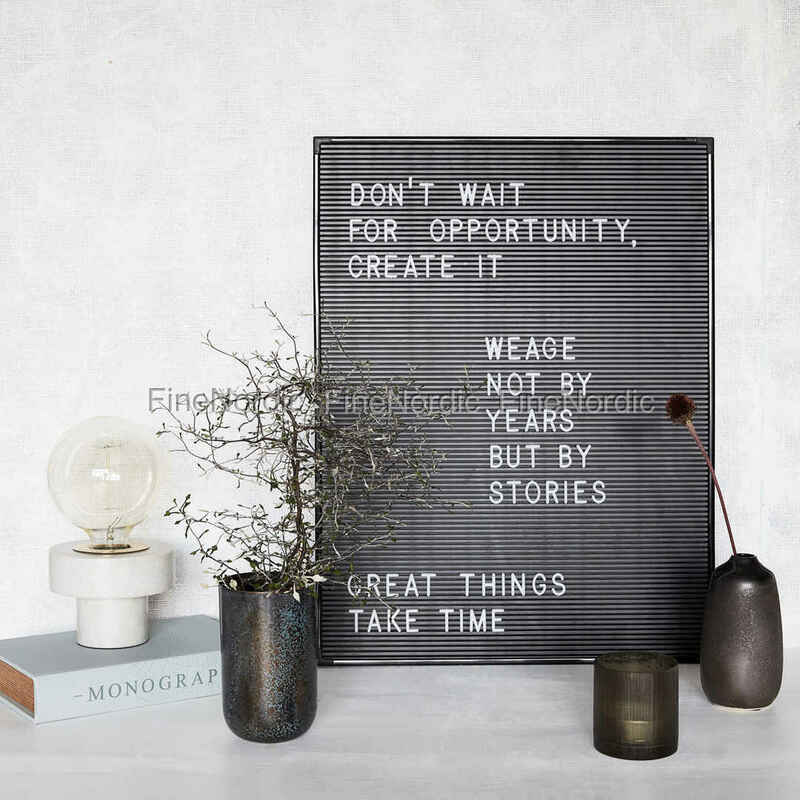 With its retro style look, the letter board is not only a useful message board, but it also looks cool and it’s a trendy decoration for any room in the home.